Welcome to Yeo Valley Primary School's Music page. Here you can find the latest news and information. 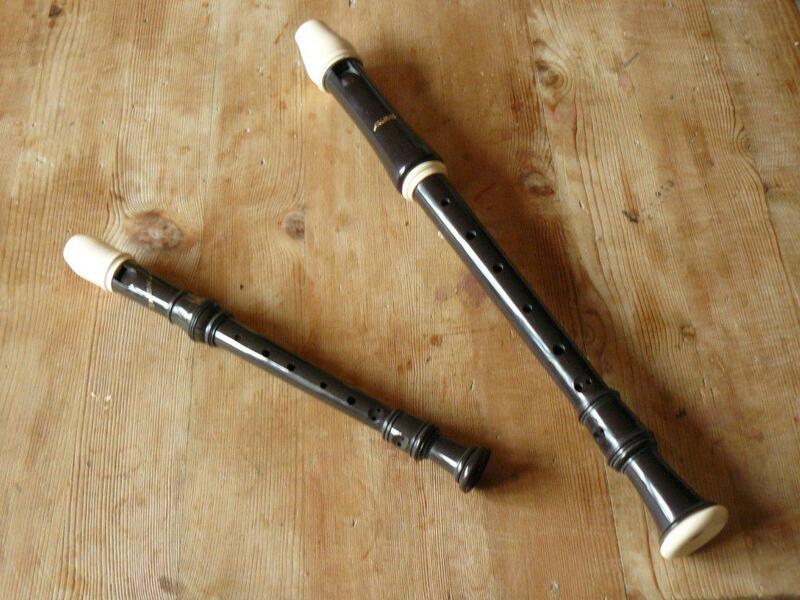 Recorder groups continue to run, a new fife group has been set up for a group of children in Year 4, flute groups from Years 5 and 6 are making good progress and a few children in Year 6 are preparing to take their Grade 1 examination on the flute late on this term. 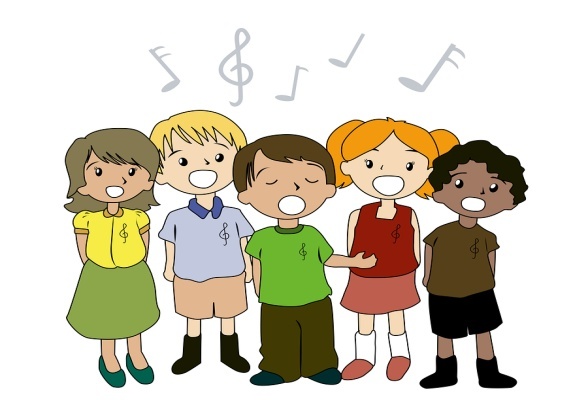 Choir continues to be on offer for any child in KS2 who loves to sing. It will be taking place after school on a Monday. All instrumentalists are looking forward to being part of an evening music recital, which will take place in late June. As part of the Whole Class Ensemble programme, where KS2 classes learn an instrument for a term, Years 3 and 4 will be embarking upon learning the ukulele and Year 5 will be working towards a 'Swing' themed musical performance, in collaboration with other primary schools, to be performed at the Queens Theatre later in the term. At the end of term, Years 3 and 4 will invite family, friends and peer groups to hear their progress by performing on the ukulele in a concert. Year 6, this term, will be working towards a performance of their chosen end of term musical 'Move It'. It was great to see so many parents support their children by coming along to the Year 3 end of term Samba concert. For half a term, the classes have worked in four instrumental groups, playing different rhythms, learning to watch the leader and respond to differing commands, like breaks in the playing and solo moments. The performance really showed both classes working well together as a team, to deliver two polished performances. Another great Sing Up competition was enjoyed by Nursery to Year 6 in the hall this week. With two trophies on offer now, one for KS1 and one for KS2, the competition was friendly but fierce. A special well done goes to KS1 runners up, Year 1/2, Miss Batchelor's class, with their song ‘Alien Shuffle’ and KS2 runners up, Year 4, Miss West's class, with their song ‘Rather Be’. Congratulations to this half term’s KS1 Sing Up Winners Year 1, Mrs. Kinnish's class, singing ‘Raise Your Voice' and KS2 Sing Up Winners, Mrs. Morris’s Year 3 class, with their song, 'New Beginnings'. The Year 1 winning song was tricky, as the song was fast paced, but the class rose to the challenge, adding lovely actions and great enthusiasm to their performance. The Year 3 winning song was so cheerful. The class made a lovely sound, had learnt all the words and the part singing at the end was very well performed. Everyone is now busy planning for the next time we meet up at the end of May. Year 6 wowed their audience on the mini steel pans with, 'Everybody Loves Saturday Night', playing a 2 part arrangement of the song and 'Drunken Sailor', playing in chordal groups, experimenting in their playing with dynamics. Their final piece, 'Hey Mr. Miller', was in a swing style. They sang the song as a three part round and played in parts too. 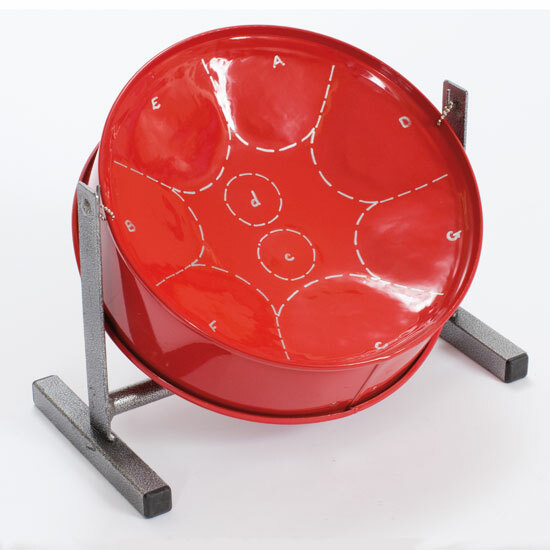 "I loved learning the steel pans," said Heidi. 'I'm not that good, but they were fun to play," commented Ayla. 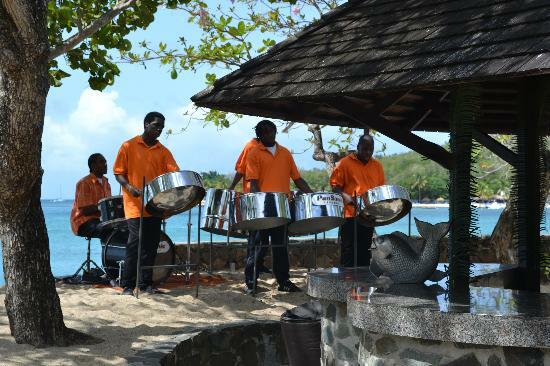 "Now I'd like to have a go at playing the big steel pans," said Archie. An appreciative audience of lower KS2 classes, parents and teachers thought they'd done a great job on another new instrument and, on such a sunny day, the audience were transported to the Caribbean, home of the steel pan. Years 4 and 5 entertained parents and children alike, in a wonderful violin concert at the end of term, showing the skills they had learnt after just a term’s work. “I think playing the violin was cool! 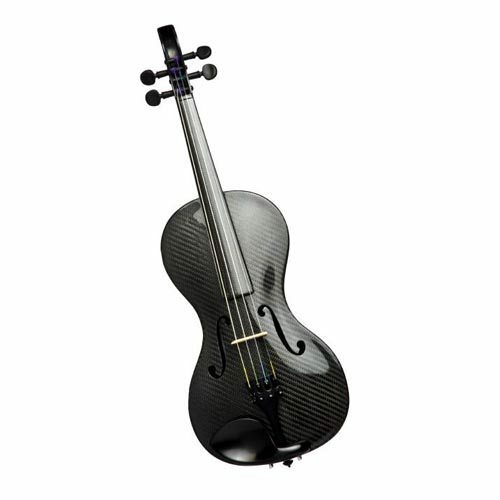 I’d always wanted to have a go at playing one and thought it would be hard, but I found it pretty easy. I really enjoyed it and just want to get better at playing, by carrying on,” commented Debbie in Year 5. “I found the violin amazing and it was fabulous that we got to play in a concert,” added Ellie in Year 5. These are just two positive comments after the end of a term’s lessons on the violin. In fact, Mrs Unsworth found that the vote was pretty unanimous, in that the majority of children really enjoyed the opportunity of learning this instrument. 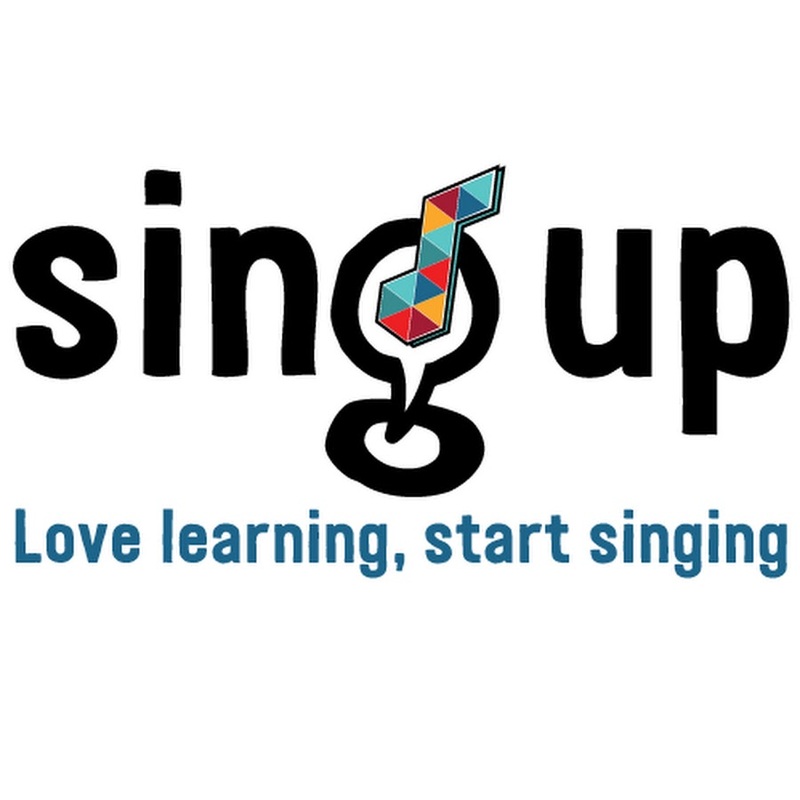 Sing Up competitions are now becoming a real favourite time of the school calendar for many classes. The excitement was evident in the hall and, win or lose, children really enjoy coming together for the love of singing. Well done to both Year 3 classes who were joint 2nd place: Mr Pile's class, with their rendition of 'The Lion Sleeps Tonight', and Mrs Morris's class, with Justin Timberlake's 'Can't Stop the Feeling'. A huge congratulations goes to Year 6, whose song, 'See You Again' by Wiz Khalifa, won overall. Their singing really showed their class coming together as a team, which is what singing at its best does - it bonds groups of people together, more quickly than many other activities can. A huge well done!!! After whole class African Drumming lessons this half term, Year 3 were keen to share their skills in a concert to their peers and parents alike. Each class performed a rhythm they had learnt, called Nyabinghi, alongside 2 songs, in an ABA arrangement. Half way through the rhythm, each class worked hard to split into two groups, playing differing rhythmic patterns. Great team work, listening and observing the lead made this tricky part of the piece possible. 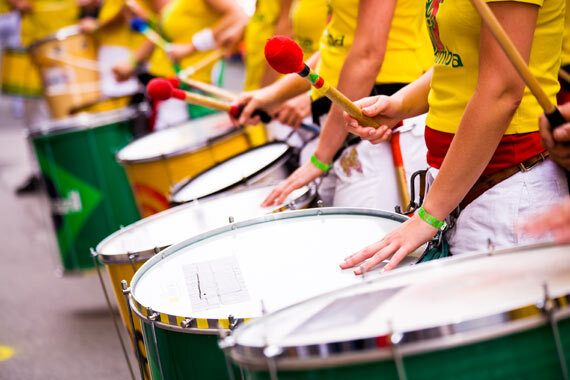 Year 3 are looking forward to discovering Samba next half term. In February, a group of 17 KS2 children spent an enjoyable day in Bristol. 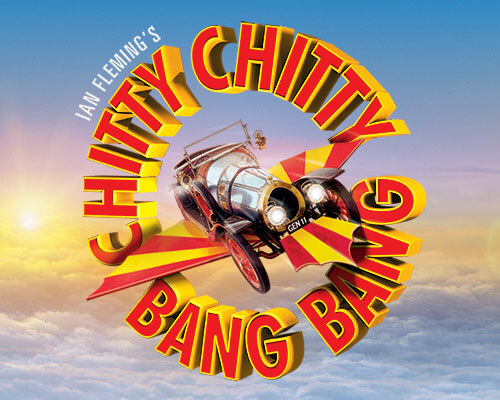 After an exciting morning at @ Bristol, the Science museum, they were treated to a marvellous performance of Chitty Chitty Bang Bang at the Hippodrome. It was a musical at its best! Young performers showed our children what they could achieve. 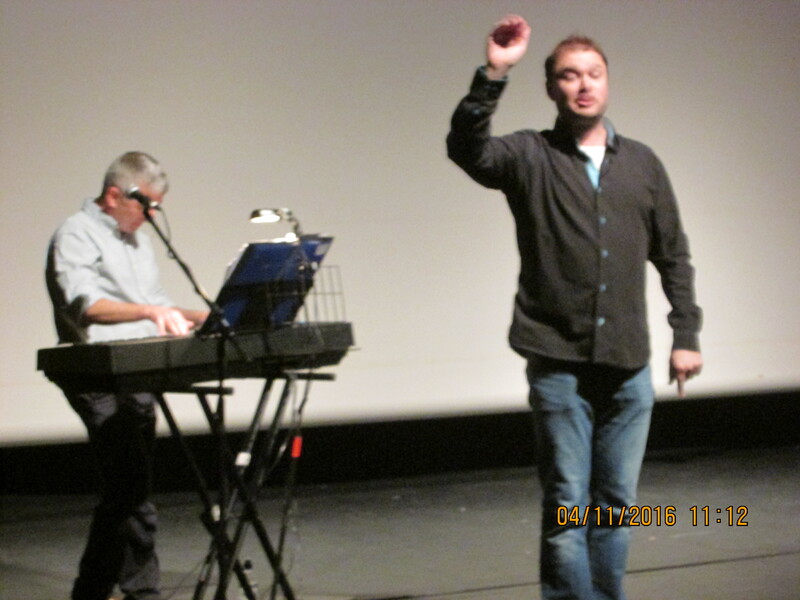 Jason Manford, the lead, showed his skills, not only as a top class comedian, but a singer and a dancer too. There were lots of opportunities to sing and clap along to the catchy songs. An inspirational event indeed! 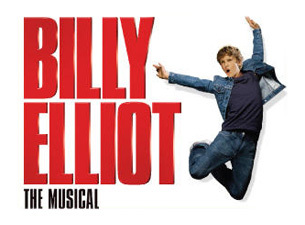 Year 6, at the end of January, went along to Pilton Community College, to watch a performance of Billy Elliot. Set in the mid '80's, during the miners strike, the Year 6's were treated to an exceptional performance of this musical, by such young performers. It was extremely special to see old Yeo Valley pupils in the cast. Watching children perform on the stage and in the orchestra, gave the children a real insight into activities they could continue to enjoy, after their move to secondary school. 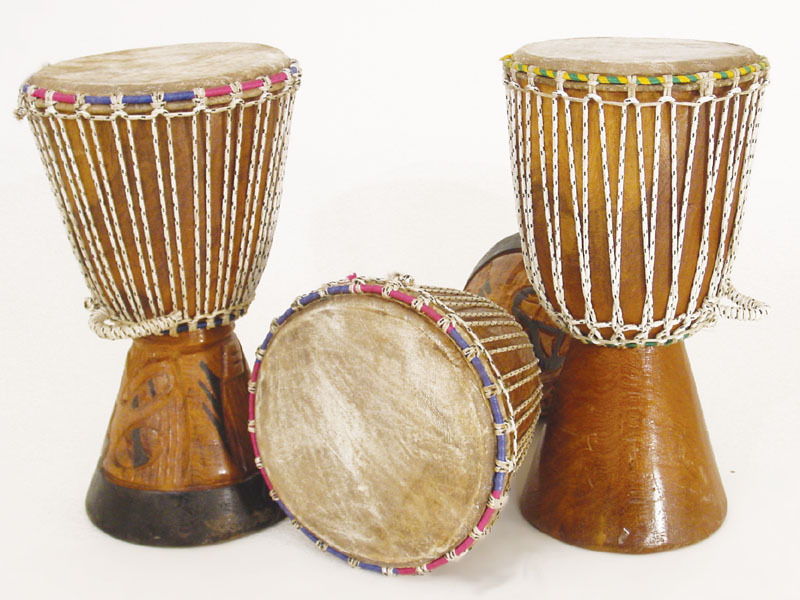 As part of the Wider Opportunities programme, where the whole KS2 class learns an instrument for a term, Year 3 have experienced percussion instruments, spending half a term African drumming and half a term using Samba instruments. Years 4 and 5 are giving the violin a go and Year 6 mini steel pans. At the end of term, all KS2 classes will invite family, friends and peer groups to hear their progress. A massive well done to all the classes for their participation. The whole school had a lovely hour, listening to all the different Christmas songs. Runner up was the Year 2 class singing ‘Rudolph the Red Nosed Reindeer’ with joint 1st place going to Year 1 singing ‘Must Be Santa’ and Year 5 singing ‘What Christmas Means to Me’. Well done to 8 children in Year 6 for achieving their Arts Award Explore. They were awarded their certificate and a smart badge to wear proudly. 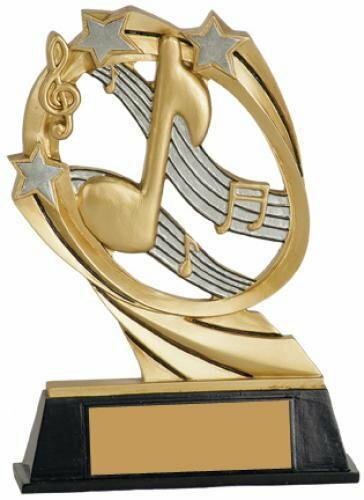 The Award is achieved on completing a portfolio, documenting all musical activities undertaken both in school and out of school over the period of a year. A huge well done to all members of the choir in a busy and successful last week of term. They went out and about singing at Norah Bellot Court, Mill Court, Tesco Extra, B and Q, outside Banburys and inside Banburys. The elderly people, who were visited, enjoyed listening to the children sing and loved chatting with them afterwards. The Carol Service was superb. Such a lot of hard work went into it and the commitment from all the choir members was fantastic. It was a lovely end to the term. Years 4, 5 and 6 ended their gamelan whole class music lessons by playing in a concert to the Year 3 classes and a packed hall of parents. Year 6 gave a talk about the instruments before Year 4 shared their gamelan composition. Using gongs, cymbals and 3 different sized metallophones they kept together as a group and presented an interesting piece based on the main principles of gamelan music. Year 5's composition focused on dynamics. They played their cyclic pattern, alternating between loud and quiet, ended the piece by gradually fading away. Year 6's composition focused on tempo. They decided to slow down gradually after each pattern of 16 notes, ending very slowly. This really took some concentration and team work. The final Year 6 grouped played a piece called 'Lancaran Bintang'. 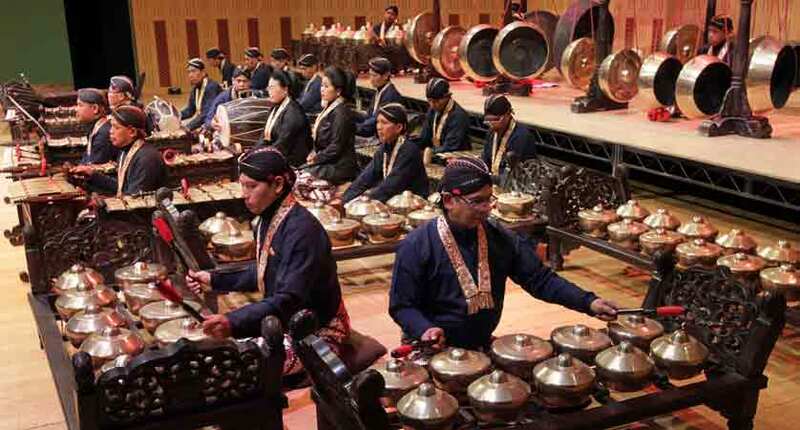 The piece shows how the different sized metallophones are used in a traditional gamelan orchestra. The middle sized 'saron' metallophones played the main melody, the larger 'demung' metallophones played alternate beats and the smaller 'peking' metallophones doubled the melody. Again, Year 6 needed to really listen to each other, to achieve a successful performance. The result was beautiful and a lovely end to a successful concert. The stage was set for FSU, Year 1 and Year 2's Christmas productions. The younger children began with 'Whoops-a-Daisy Angel', a story about a clumsy angel who, after never being given anything important to do, ended up showing some important visitors to the place where baby Jesus had been born. The children thoroughly enjoyed dressing up, sharing the story and singing some great songs to the school, family and friends alike. After a quick swap over of costumes, the older children shared the Christmas story through a play called 'Shine Star Shine'. 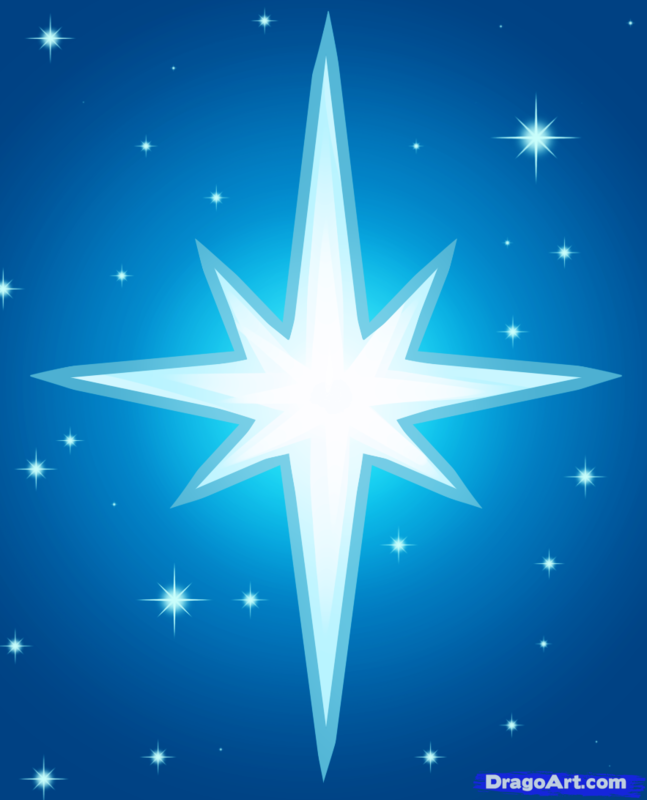 In the story the big star just could not shine, until finally the baby Jesus was born and the star had a special purpose, to shine over the manger in Bethlehem. The children delighted the audiences with clear speaking, fantastic singing and such a confident performance. 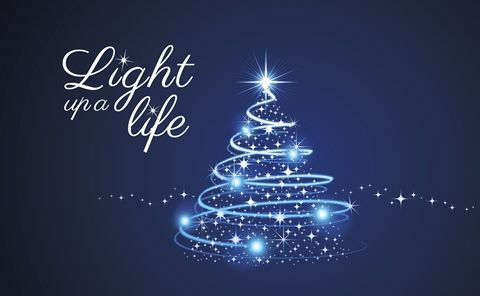 The following evening, after taking part in a Charity Concert with the Military Wives choir, the choir were busy again, singing at Christ Church's 'Light Up a Life' service. These services take place all over the UK and are organised by hospices during the festive period, to bring people together, to remember and celebrate the lives of loved ones. The choir performed two Christmas songs, sang Christmas carols with the congregation and hung their 'stars' on the tree, with messages to their loved ones. The highlight of the evening for them was holding their own lit candle, in the dark, having a moment to reflect on the message of the service. What an experience the Yeo Valley school choir had, taking part in a charity concert, on a frosty night on the first evening of winter, at Christ Church in Barnstaple. The choir began the proceedings with two songs - 'One Little Voice' and 'Sing a Song in Unison'. Riley, from Year 5, sang a beautiful, clear and confident solo to a packed audience. Other local primary schools went on to sing, before the Military Wives choir, from Chivenor (including our very own Mrs Longhurst, teaching assistant to Year 6) entertained us with a full programme, ranging from Coldplay hits to winter classics. The finale saw all the primary children experience singing with this choir, conducted by Rachel Smith, who'd run the schools rehearsal the previous week. They sang 'Five Hundred Miles' and Gary Barlow's 'Sing'. It was certainly an evening to remember and an amazing experience for the children to be involved in. An amazing £1600 was raised - £550 going to the charity Amigos and £1050 to the Chivenor Military Wives Foundation. Amazing! Year 3 have now completed their term's First Access whole class music lessons on the recorder and shared their progress with parents in a concert in the school hall. The Year 3 classes invited the Year 2 children along to give them an insight into what they will achieve in their KS2 music lessons next academic year. The concert ended with 4 Year 6 pupils, playing a quartet on the descant and treble recorders, offering inspiration to the Year 3s, showing them the progress they could achieve with hard work and determination. The Year 3 children will be given the opportunity to continue the recorder next term in a lunchtime recorder club. Yeo Valley school choir met together, with choirs from Sticklepath and Our Ladys, to take part in a singing workshop. Led by Rachel Smith, musical director of the Military Wives choir, the children rehearsed songs in preparation for their concert at Christ Church, Barnstaple. They sang 'Sing' and 'Five Hundred Miles', alongside some great warm ups and fun songs in between. Rachel leads many of the Youth choirs in the area and it was a great experience for the children and staff to work with her. At the beginning of November, some choir members were fortunate enough to take part in an opera workshop. 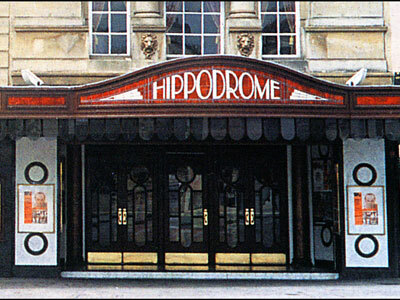 They spent a morning at the Landmark Theatre in Ilfracombe, working with some opera singers from the Royal Opera House. Working from an English translation of the Italian song 'Brindisi', from La Traviata by Verdi, they sang along with the professionals and children from other local schools. The morning ended by watching a subtitled screening of Puccini's comic opera Gianni Schicchi. What an inspirational opportunity for children interested in the Arts! October saw the first Yeo Valley Sing Up competition. All classes, from Nursery to Year 6, joined together to celebrate singing. As each class came to the school hall with their song prepared, they all hoped they would be crowned 'Sing Up Class' of Autumn half term. There were many lovely songs and each class delivered their songs with much enthusiasm. After the event, I asked children and staff from various classes if they had enjoyed singing. The answer was a unanimous "Yes!". The whole atmosphere was one of real joy and everyone is now preparing for the next time we meet up again, when we hold our first Christmas Sing Up. Joint first place went to Mrs Morris' Year 3 class singing 'One in a Million' and Year 6 singing 'Stereo Hearts'. In second place were Mr Pile's Year 3 class, singing 'Billy the Kid'. As part of the Wider Opportunities programme, where the whole KS2 class learns an instrument for a term, Year 3 have taken up the descant recorder and Years 4, 5 and 6 are experiencing authentic World Music through playing gamelan instruments, which are made in Bali. At the end of term, all KS2 classes will invite family, friends and peer groups to hear their progress. The school term began in September with many children from Years 4, 5 and 6 starting, or continuing to attend, lunchtime recorder clubs. All children from these year groups are welcome to come along to one of the clubs, catering for different ability players. A group of children from Year 5 have transferred their skills from playing the fife to now taking up the flute. Many children who took up the flute last academic year are continuing to attend small group lessons at lunchtime. Children from Year 5 have been invited to join a lunchtime ukulele group. As their skills progress they will transfer to learning the guitar. Choir takes place weekly after school and is very popular with a great number of enthusiastic singers.